The world looks at Syria for the first time in decades, while hundreds of thousands of citizens demonstrate against the regime that has ruled the country for almost 50 years. While hundreds of protesters were killed according to many reports, the official version shows quite a different picture. The gap between the state-controlled narrative and what the population is witnessing is growing bigger as citizens share and build upon their own narrative with the tools provided by the Internet. 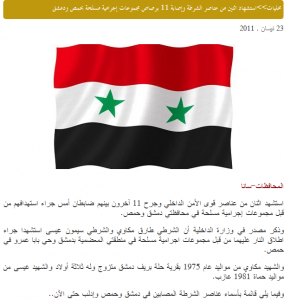 ● The reforms announced by the President Basshar El-Assad. ● The attack against a police car where a policeman was killed and 11 others wounded. ● Images of shattered windows and destroyed cars caused by what the State-Media calls “terrorists”, “armed groups”, “gangs” and “thieves”. ● Pictures of confiscated weapons, including: sticks, axes, bottles, cans. Also, shockingly enough, mobile phones with “foreign Sim-cards”. ● Interviews with demonstrators showing their regret for having participated in the protests. ● Citizens sharing their opinions, with accusations that range from accusing Salafi groups to blaming the unrest on a Western plot against the country. ● Analysis of articles and blog posts like the one published on Counterpunch, Syria and the Delusions of the Western Press, that accuses Western media of hiding and manipulating information to damage Syria´s image. After April 22, official communications have continued to highlight the death of the policemen, the implication of foreign interests in the country and pro-government reactions. This is the communication system Syrians have grown used to. The Syrian telecommunications market, one of the least developed in the Middle East, is the most regulated in the region. Syrian Telecom owns the telecommunications infrastructure, and only a few journalists manage to get accreditation. But now, through digital platforms, an alternative narrative emerges: citizens voices reach out to the world after decades of media silence over Syria. Internet media and platforms have been flooded for weeks, but especially since April 22, with images and videos taken by the protestors mainly through mobile phones, and shared by citizens and media worldwide. Some of these videos, which include very graphic content, can be watched here. 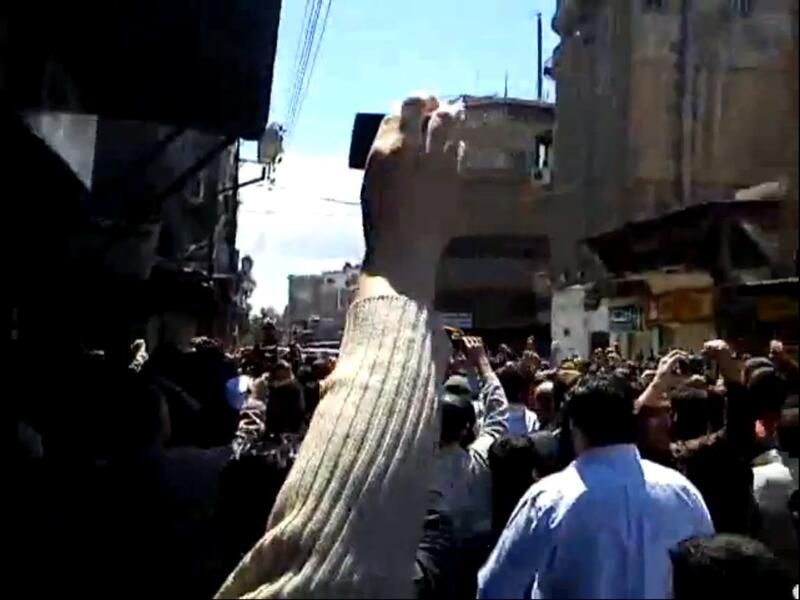 One of the videos shows several hands raised holding mobile phones to record the funeral of a protestor killed the day before, illustrating the relationship between citizen communication and mobile technology. We should be aware that the real communication battle takes place on the Internet. The Syrian regime has blocked sites and platforms like Youtube, Facebook, Blogger, and Wikipedia for years, and Syrians have grown used to accessing them through proxies. 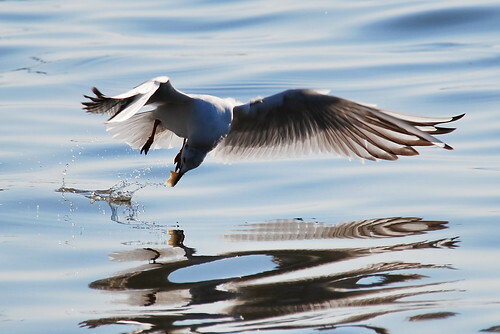 A few months ago Facebook and Youtube were unblocked, which was welcomed by many Internet users. Pages like “Syrian Revolution 2011″, with around 150,000 followers from inside and outside the country (but mainly administered from abroad) have been sharing information for months and encouraging followers to take to the streets. This page was apparently hacked during April 23. A new page was opened and gained 2,000 followers in only a few hours, but the original page was back at the end of the day. Other spaces, like the Syrian Women Observatory facebook group, called upon protesters not to take to the streets in order to stop the bloodshed. In a manifesto issued on April 22, the Observatory called upon the Government to undertake the reforms announced and called on protesters to give the government a 15 day chance to prove the reform process is real. At the same time, there are other pages that are supportive of the government and the president. 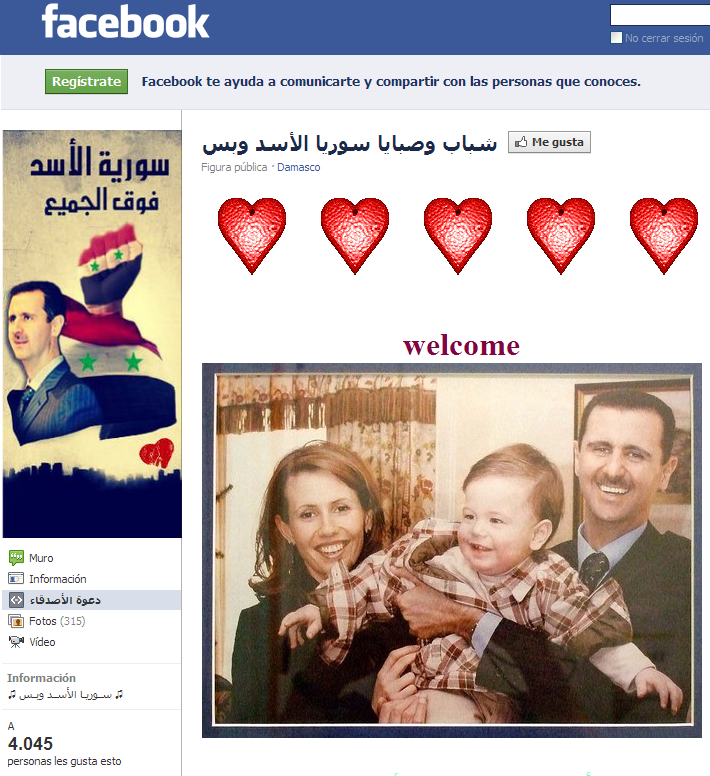 One example is the “Youth only for Asad’s Syria” facebook page where new users are welcomed with a cheerful picture of the President´s family. The Internet battle between official narrative and citizen narrative can be found on Twitter too. This network, which allows for quick spreading of short messages, has proved to be very effective for citizens to organize and communicate from the beginning of mobilizations. Users like AnonymousSyria have been sharing many anti-government images, videos and slogans. For example, one of the posters designed and published on twitter has become a motto for Syrian protesters, in response to the official one: “God, Syria, Basshar and nothing else”. What twitter users call “twitter eggs”: Newly created accounts, mostly imageless, that verbally threatened anyone tweeting favoraly about the ongoing protests or criticizing the regime. Those accounts were believed to be manned by Syrian intelligence agents with poor command of both written Arabic and English. The user @AnonymousSyria has included some of these accounts on this list. Pro-government users have also created twitter lists where users that support the uprisings or stand with the right to free speech in the country are added. The list Against Terror, Fake Massmedia includes media like BBC or Al-Jazeera, human rights organizations like Press Freedom and Amnesty International, journalists like Brian Whitaker and Dima Khatib and social platforms like Youtube, along with activists and members from the opposition. In reaction to demonstrations, authorities have also started to follow Egypt and Libya´s steps, preventing citizens from communicating with each other and the rest of the world through communication blackouts. Internet blackouts have been reported in Daraa, where the uprising started. On April 25, not only the Internet but also land phones and mobile phones were cut in Daraa, Duma and other towns and neighborhoods leaving them completely isolated amid escalation of repression against demonstrators. The blackouts will fall short from preventing the world from hearing the stories that Syrians are sharing first-hand. In a context of growingly decentralized information, centralized narratives — characteristic of authoritarian regimes — become exposed as echoes of an official voice that hardly anyone trusts. But we should keep in mind that although citizens may be winning the communication battle, the weapons are still in the hands of those who have the power over people´s lives.